Caroline became interested in screenplay writing her senior year of high school in Beaumont, Texas. In 1990, she earned a Bachelor of Arts in Professional Writing and Foreign Service from Baylor University and continued to pursue screenwriting when not working at a video production company in Fort Worth, Texas. In 1992, Caroline went to Siberia with Campus Crusade for Christ for a nine-month mission trip. In Novosibirsk, she read Sergei Kourdakov’s 1973 autobiography, The Persecutor, and was fascinated to learn that Kourdakov was born in Novosibirsk. She was especially interested in a chapter about Kourdakov’s childhood where he describes how a scientist in Academic City – the very town where she was living -- adopted him for a short period of time. She checked the science institute’s archives in Academic City, but they showed no trace of this scientist’s last name. After the mission trip, Caroline often wondered if the story were true and how such a wonderful story had never been made into a movie. After returning to the U.S., Caroline taught high school English and Journalism in neighboring Orange. In her spare time, she began to write again and felt that Kourdakov’s story would be a great fit for a screenwriter’s debut. Uncertain if she should pursue the idea, she prayed about it and saw in her mind’s eye herself as a pen in God’s hand. Her understanding (at the time) was that God would allow her to adapt Kourdakov’s story to the screen. After three years of research and writing, Caroline gave up on the screenplay, mainly because she couldn’t find who owned the film rights to the book. 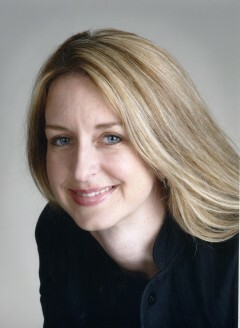 In 1998 Caroline moved to Atlanta, Georgia and began working as a consultant in behavioral change management. In 1999 she planned a trip to Petropavlovsk-Kamchatsky, Russia where Sergei claimed to have led more than 150 raids. In 2000 Caroline founded Sergei Project, Inc., also known as Make Known Productions, to underwrite the documentary, and, for the next four years co-produced Forgive Me Sergei with director Brother Damian Wojciechowski, SJ. The film was completed in April 2004 and has won various awards at festivals around the world.